Robin, short-haired brown tabby female, was fixed as part of a large cat colony in July 2017. She was taken into foster care with a family with teens at about 3 months old. Because she was a little older than usual when brought inside, she's taken longer to come around to love humans. Robin is learning to trust people and is especially attuned to her teen age foster mom who understands her need to go slowly. 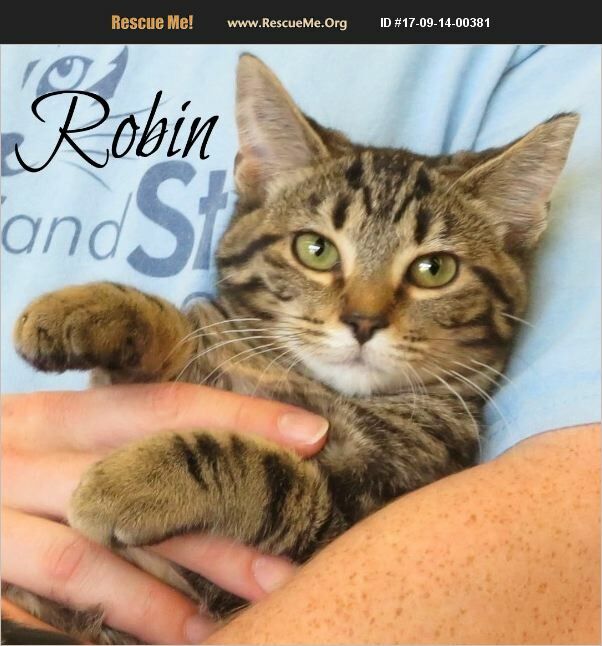 Robin could be a great companion for another cat that would show her around.